Cycling accident claims are one of the most common personal injury claims made simply because of the number of people who partake in cycling. People cycle for many different reasons, for pleasure, to lose weight, stay healthy, keep fit, as a form of travel and sport, there are endless reasons why adults as well as children cycle. There is no denying that it is a major part of some people’s lives. People find that cycling has many benefits and can be enjoyed by all. However although cycling offers a more cleaner living, a healthier life style and a means of travel as well as enjoyment it too has downsides especially to those who use cycling as a method of transport and are on the main roads. Cycling on roads can mean that a cyclist can be involved in road traffic accidents, for various reasons. It is important that all road users take into consideration those road users that use a bicycle, especially larger vehicles who may not see them in their blind spot. People who use the road must show respect to all other road users not just those who use vehicles. Even negligent pedestrians are sometimes responsible for cycling accident claims being started. Although the amount of fatal accidents regarding cyclists have reduced compared to many decades ago the amount of cyclists that are seriously injured are increasing year on year. We are a leading law firm in the area of personal injury, along with solicitors who are experts in this field we have a knowledge base that stretches out for decades. One of our main attributes is that we always treat the client on a personal basis, if you have entrusted us with your case then the least we can do is ensure that you received a tailor made service that meets all of your needs and ensures that you receive the maximum amount of compensation. We work on a No Win No Fee basis so at no time are any of our clients at any financial risk. Being injured as the result of someone else is more than enough for someone to bear, allowing us to pursue your case means that you can get the rest and recuperation time you need knowing your case is in the best hands possible. How to Make a Cycle Accident claim? What can be claimed for a Bicycle Accident? How Long Does a Cycle Accident Claim Take? How Much Compensation Will be awarded for a Cycling Accident Claim? How to Make a Cycling Accident claim? Those that are involved in cycle accidents when they are the innocent party have the right to make a cycling compensation claim against the third party. 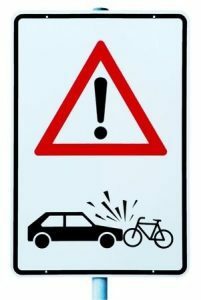 As mentioned above cyclists who are involved in road traffic accidents can be seriously injured and even in some cases it can result in death. Cyclists are vulnerable when using roads and drivers should always be cautious and courteous to those that use bicycles as a form of transport. If you have been involved in a cyclist road traffic accident then we are here to give you the guidance and help you need if you decide to make a cycle accident claim. We are a leading law firm when it comes to any type of road traffic accident and we have a dedicated team that have worked on many cases of cyclists that have been involved in road traffic accidents. With decades of experience behind us and a knowledge base that far out reaches many solicitors we can guarantee that your case is in safe hands. Starting a cycling accident claim couldn’t be easier as we take care of your case from start to finish; we need little input from you but keep you informed every step we make. We offer a stress free process so that you can concentrate on getting yourself back to health. Just by calling us and telling us how your cycling accident injury come about we can start your case straight away. One of our main attributes that puts us in front of the competition is that we offer a tailor made service, we are fully aware that no two cases are the same so we treat every person on an individual case. What can be claimed for as the result of a Bicycle Accident? When a cyclist is injured on the road through no fault of their own it’s very important that they receive the maximum amount of compensation as their injuries and disruption of life is not down to them. With every personal injury case we like to ensure that we do the best job we can but hope to do it in the shortest amount of time so that the victim is not left short and can continue with life as it was before the bicycle accident happened. As with every injury that is caused by an accident the injury itself can range from mild to very serious so it is always difficult to give a precise estimate to how much compensation one will be awarded for a cycle accident. If a cyclist is injured on the road by another road user and as a result are left with whiplash injury they are looking at receiving an average payout of about £2,500, however if a cyclist is more severely injured and breaks a leg for example, they are entitled to receive a maximum amount of compensation which is in the region of £19,000. Loss of earning, any future earnings which include promotions, rise in wage and pension. Adaption of the home environment. General damages – these damages cover the amount of pain and suffering a personal injury victim as suffered as a result of the accident. A medical expert will evaluate the medical evidence and any future pain and suffering that might be present. General damages will also take into consideration how the injury will prevent a person from carrying out general activities that once were carried out and if the person will be able to return to life as life was before the accident. Loss of quality of life, which can include hobbies, chores at home and any participation in sports will also be taken in to consideration. We offer any potential client a free consultation where they can receive confidential and up to date advice regarding any claim they may have. We are up front and we will be able to advise you straight away if you have a claim for cycle accident compensation or not with no obligation to appoint your claim to us if we think you have a valid claim. As we work on a No Win No Fee basis we do not time waste time or give you any hopes if we are unsure about a case, we are straight with you all the way and do not take on a case we don’t think will succeed. Once the cycling accident claim process has begun and things are effectively in place claims that are straight forward can take up to three to six months. Medicals are usually arranged for no longer than a month from when the case is brought to us, we could arrange them sooner but we like to see what the prognosis of the injury is likely to be. We have a team of experts who are dedicated to getting clients the maximum amount of cycling accident compensation they deserve. Although we give such time lines these are very general and we pride ourselves on being swift and precise and closing cases as quickly and efficiently as we can. We offer all our clients a No Win No Fee agreement so that they can rest assure that at no time will they ever be at any financial risk. They can be confident that they will never asked for any monies from their own pocket. We pride ourselves on the service we provide for our clients that we offer free legal advice to anyone who feels that they might have a personal injury claim. A conditional fee agreement which works in the same way as a No Win No Fee agreement means that as long as the client has been completely truthful and their case does not succeed then they will not have to pay any fees to either side. However since the law change in April 2013 solicitors fees have been capped meaning that they have to get part of their fees from the compensation which is awarded to their clients. We take a maximum of 25% of the compensation that is awarded. It is in our best interest and yours to work as hard as we can so that the client receives the maximum amount of compensation. We have no hidden charges. It is very difficult to estimate how much compensation a person may receive for a cycling accident claim for different reasons. Each cycle and road traffic accidents that occur are different to the other. Victims of these accidents have different injuries therefore pain and suffering is likely to be different from one person to the other and people’s circumstance in general could differ. Giving any estimate at the early stages is very vague and should never be taken as fact. However, there are guidelines set to how much cycling injury compensation should be awarded in certain circumstances and generally a victim of a cycle accident can look to get an average of £2500. That said if injuries tend to be severe this amount can increase dramatically. We understand that many of our clients may need rehabilitation after a bicycle accident and we can arrange any additional physiotherapy that may be needed. We also recuperate any expenses that have been occurred due to the bike accident such as travel and prescription expenses. Comment - estimates are given depending on the type and severity of the injury. Head Injury Extremely Serious £215,000 - £310,000 The award bracket is given as an estimate for victims who have suffered severe brain damage and are unresponsive. In what is referred to as a vegetable state. Head Injury Serious-Moderate £12,500 - £200,00 Losing feelings in limbs, mental disability, and or change in impersonality. Head Injury Mild Injury £1,500 - £9,500 Head injuries that have not caused brain damage but still there maybe lasting effects. Face Injury Extremely Serious £15,400 - £73,200 Scarring and facial disfigurement could warrant this amount of compensation. The severity will determine how much. Face Injury Serious-Moderate £12,200 - £27,300 These compensation estimates cover brakes and fractures to the facial area such as the nose. Face Injury Mild Injury £1,700 - £12,350 Compensation amounts for scarring. Please note women tend to receive larger payouts for scarring than men. Ear Injury Extremely Serious £69,100 - £108,500 Total loss of hearing due to injury. Ear Injury Serious-Moderate £22, 300 - £34,500 Total hearing loss in one ear. The final amount will depend on how this affects a person. Ear Injury Mild Injury £4,300 - £37,500 This mount of compensation is awarded for earring loss in both or one ear and those that suffer tinnitus as a result of injury or work environment. Eye Injury Extremely Serious £81,200 - £205,300 To receive maximum amount of compensation loss in both eyes or loss in one eye and some loss of sight in the other. Eye Injury Serious-Moderate £7,100 - £49,400 This amount of compensation is awarded with loss of sight in a single eye or very restricted vision in one eye. Eye Injury Mild Injury £1,600 - £7,600 Problems with vision, pain in the eye or temporary vision loss in an eye. Back Injury Extremely Serious £29,750 - £123,300 Severe back injuries to the upper or lower part of the back, maybe causing paralysis or any issues relating to the organs within the lower part of the body. Back Injury Serious-Moderate £30,750 - £8,750 This amount of compensation may cover ligament or soft tissue to the back, constant pain and /or discomfort. Back Injury Mild Injury £350 -£9,850 Soft tissue, slipped disc, muscle pain would gain this amount of compensation. Neck Injury Extremely Serious £35,500 - £112, 450 Neck injuries can be very severe causing problems with movement in different areas of the body. An injury to the neck can cause pain in this area for a lengthy time. Neck Injury Serious-Moderate £29,600 - £42,300 Fractures to the neck, painful when moving, stiffness inability to use full movement of the neck will warrant this type of compensation. Neck Injury Mild Injury £1,800 - £ 6,200 These amounts of compensation are roughly the brackets for whiplash depending on how long it lasts, how painful it is and the long term prognosis. Shoulder Injury Extremely Serious £9,500 - £37,00 Restriction in movement, limb numbness or paralysis due to injury in the shoulder and neck. Shoulder Injury Serious-Moderate £6,250 - £9,750 Tissue damage to neck that may last for quite a while which restricts movement in the arm and elbow. Shoulder Injury Mild Injury £350 - £6,700 Soft tissue damage that will recover within the year or just over, that causes moderate pain. Arm Injury Extremely Serious £74,200 - £227,250 Amputation of both full arms will receive the maximum award here. This compensation range also covers the amputation of one arm, or whether the amputation is to be the full or part of the arm. The restrictions this will have in the future are also taken into consideration. Arm Injury Serious-Moderate £30,100 - £99,750 If there is major restriction and disability in one or both arms and causes great pain and suffering. Arm Injury Mild Injury £4,500 - £30,250 This amount is set at this criteria for those who have suffered restriction in movement and/or disability on the arms but will recover. Elbow Injury Serious-Moderate £29,200 - £42,250 Complete restriction in movement of the elbow that has resulted in a disability or that has required surgery. Elbow Injury Mild Injury £11,400 - £23,900 Restriction in the movement of the arm due to injury of the elbow. Elbow Injury Mild Injury £3,100 - £9,750 Mild to moderate injury to the elbow which cause pain but complete movement will still be possible. Hand Injury Extremely Serious £46,300 - £151,250 This amount of compensation will cover, both hands or one hand amputation or if the hand becomes completely useless. Hand Injury Serious-Moderate £22,500 - £47,750 Disfigurement of fingers and/or are unable to use the hand properly. Hand Injury Mild Injury £700 - £22,300 Fractures, soft tissue damage, cuts and surgery warrants these amounts of compensation. Wrist Injury Severe - Mild £2,550 - £44,500 No wrist function  damage to wrist due to injury but will make a full recovery. Finger Injury Severe - Mild £375 - £69,330 The amputation of one or more fingers  broken finger that has a prognosis of complete recovery. Leg Injury Extremely Serious £75,100 - £215,000 Amputation of both or one leg will warrant this amount of compensation to be awarded. It will also be taken in to consideration if the leg is amputated above or below the knee. Leg Injury Serious-Moderate £21,750 - £104,100 Injuries sustained to the leg as a result of injury that has caused disability and restriction in movement that may have a life-long prognosis. Leg Injury Mild Injury £1,800 - £17,900 Fracture, brake or soft tissue damage to the leg that has affected the muscle causing great pain and discomfort. Knee Injury Extremely Serious £39,700 - £72,970 Disability due to injury to the knee, severe damage to muscle, soft tissue and also muscle wastage. Knee Injury Serious-Moderate £20,250 - £33,200 This amount of compensation is awarded to disability that is caused by injury to the knee, muscle damage, cartilage damage and soft tissue damage causing pain and suffering. Knee Injury Mild Injury £4,750 - £19,600 Injury to the knee that is painful but will recover within time so the knee has a full normal working function. Ankle Injury Mild - Severe £10,300 - £53,100 Disfigurement, dislocation, deformation maybe an operation is required  broken or sprained ankle. Achilles Mild - Severe £5,300 - £30,100 Muscle has been severely damaged or severed causing restriction and/or disability  weaker ankle muscles. Foot Injury Extremely Serious £64,000 - £152,750 The amputation of both or one foot will warrant this amount of compensation and how it will affect a persons life. Foot Injury Serious-Moderate £18,500 - £52,900 Severe injury to both or one foot causing disability, restriction or fractures to the foot. Foot Injury Mild Injury £5,300 - £11,050 Injury to the foot that will recover. Toe Injury Severe - Mild £4,500 - £43,250 Amputation of the big toe or several toes. *The amounts given are estimates or are taken from previous cases. They can be used as general guides but should never be taken as fact as each and every case is different to the next. There are criteria’s where certain personal injury compensation cases will fit in to but each person has different personal circumstances to others and one person’s pain and suffering is different to another persons. Not at any time should the figures above be taken as exact and reliable amounts. The amounts that are illustrated above only cover a person’s injury and do not take into account special damages as these will be worked out on a personal basis. Also some cycling injuries can be so severe that lifelong future funds need to be taken in to consideration such as, loss of earning, rehabilitation, home adaptation, medication, medical care and life long care all which can only be estimated and future forecasted. If the cycling accident injury is so severe then it may warrant compensation awards that are much higher than the ones stated above. Government website on cycling safety.